All drivers reported by Transportation Network Providers (sometimes called rideshare companies) to the City of Chicago as part of the licensing process and routine reporting required by ordinance. Inclusion of a driver in a monthly report indicates that the driver was eligible for trips in Chicago in that month for at least one day, regardless of whether he or she actually provided any rides. If a driver is eligible in multiple months, which is common, he or she will have records in each of these reporting months. All vehicles reported by Transportation Network Providers (sometimes called rideshare companies) to the City of Chicago as part of routine reporting required by ordinance. 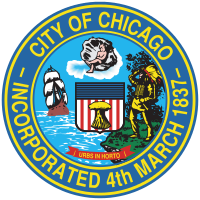 Inclusion of a vehicle in a monthly report indicates that the vehicle was eligible for trips in Chicago in that month for at least one day, regardless of whether it actually provided any rides. If a vehicle is eligible in multiple months, which is common, it will have records in each of these reporting months.